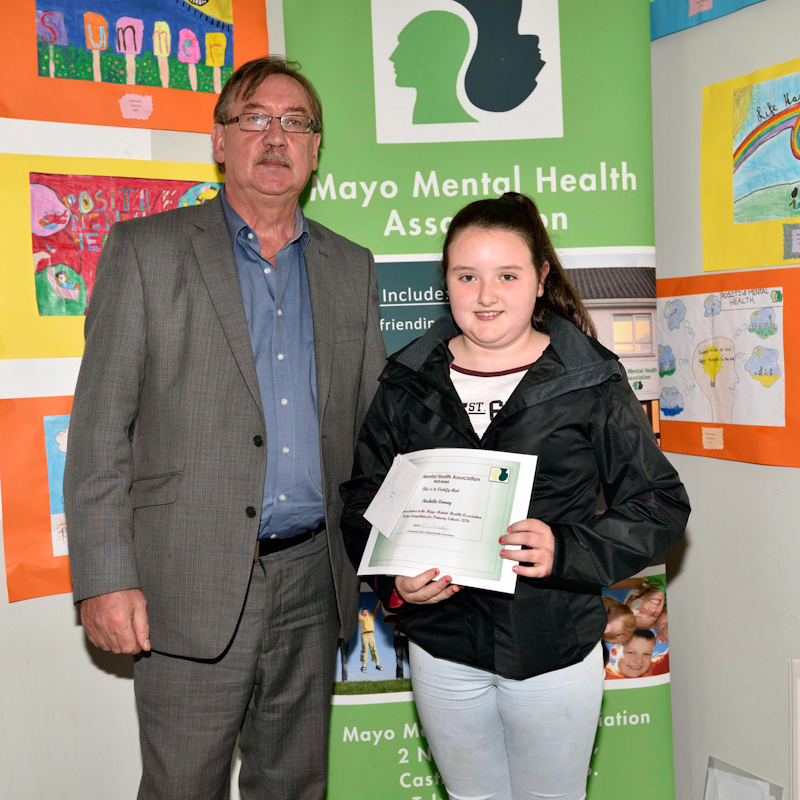 Pictured in Lough Lannagh village at the presentations of prizes and certificates by John Melvin in the Mayo Mental Health Association Primary School Art Poster Competition 2016. Merit Award Ethan Moran. Photo © Ken Wright Photography 2016. 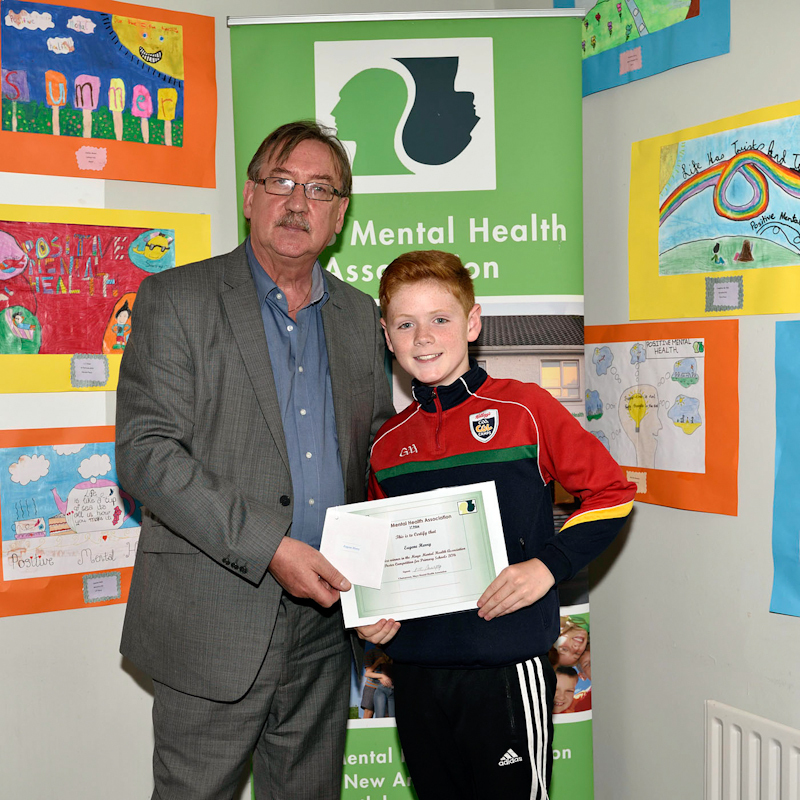 Pictured in Lough Lannagh village at the presentations of prizes and certificates by John Melvin in the Mayo Mental Health Association Primary School Art Poster Competition 2016. Merit Award Molly McMenamon, Drumgallagh NS. Photo © Ken Wright Photography 2016. 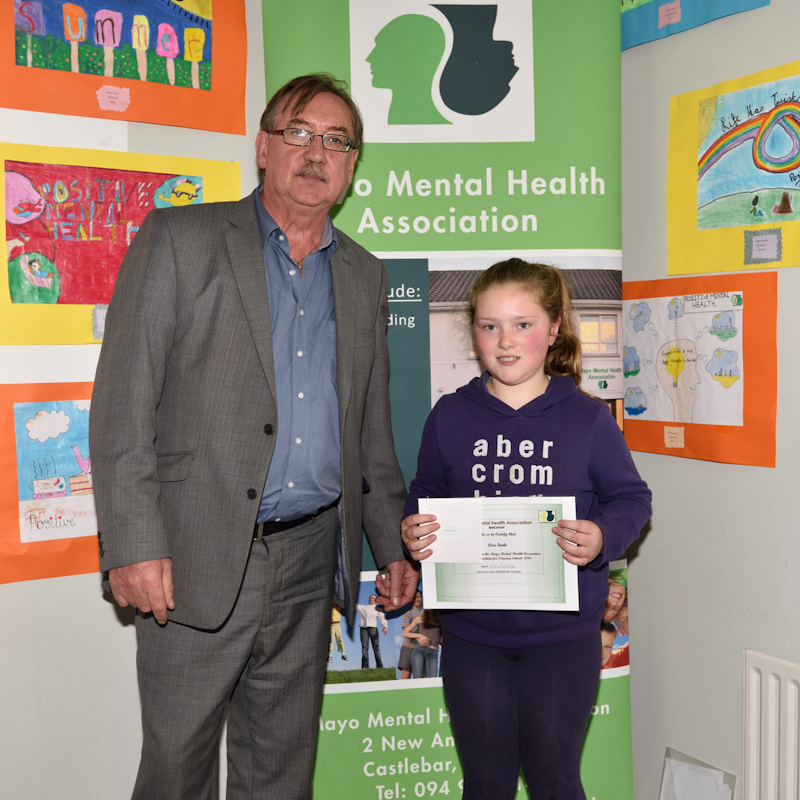 Pictured in Lough Lannagh village at the presentations of prizes and certificates by John Melvin in the Mayo Mental Health Association Primary School Art Poster Competition 2016. Merit Award Jamie Muniz, St Patricks Kilmaine. Photo © Ken Wright Photography 2016. 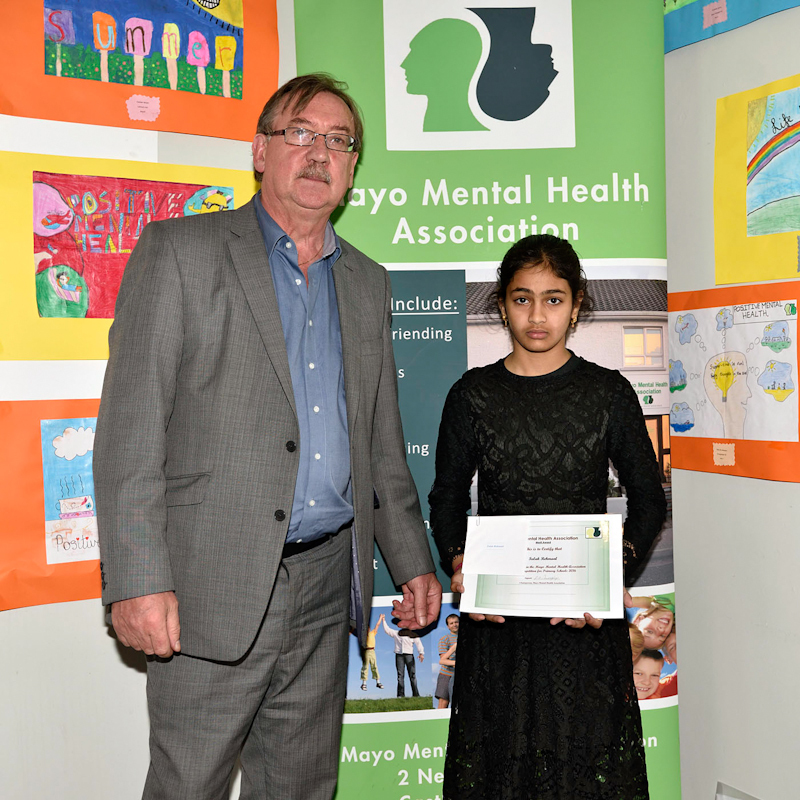 Pictured in Lough Lannagh village at the presentations of prizes and certificates by John Melvin in the Mayo Mental Health Association Primary School Art Poster Competition 2016. Merit Award Lisa Forde, Mayo Abbey National School.. Photo © Ken Wright Photography 2016. 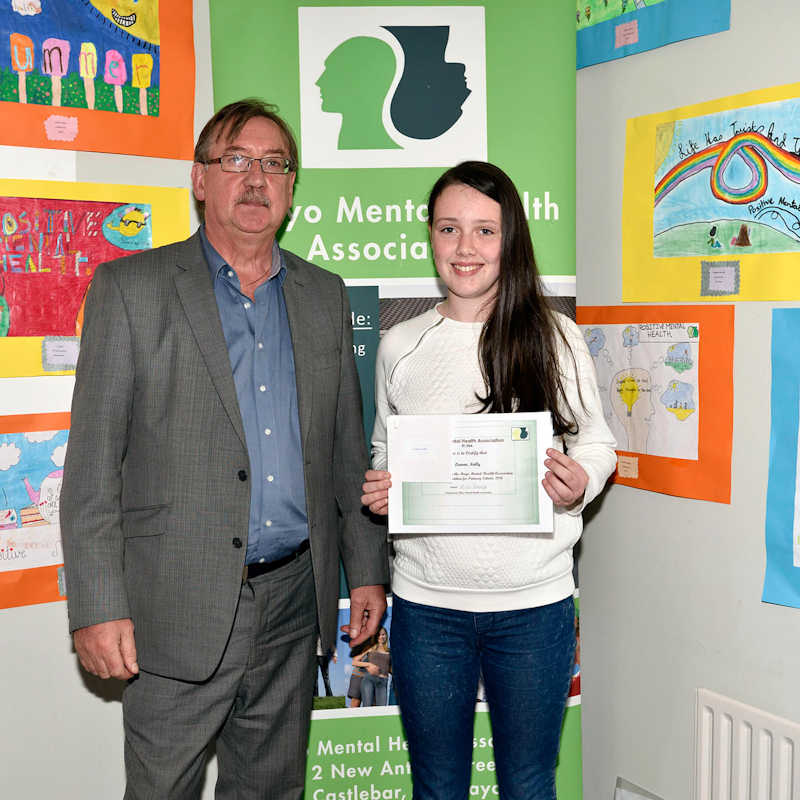 Pictured in Lough Lannagh village at the presentations of prizes and certificates by John Melvin in the Mayo Mental Health Association Primary School Art Poster Competition 2016. Merit Award Alex Murphy, Foxford National School. Photo © Ken Wright Photography 2016. 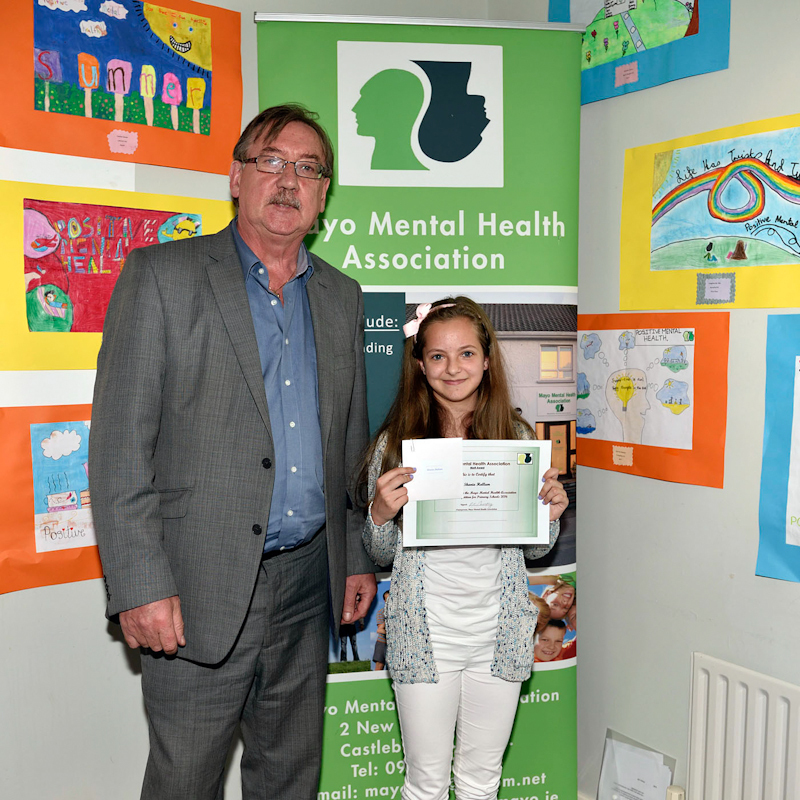 Pictured in Lough Lannagh village at the presentations of prizes and certificates by John Melvin in the Mayo Mental Health Association Primary School Art Poster Competition 2016. Merit Award Shania Hallum, Behy NS. Photo © Ken Wright Photography 2016. 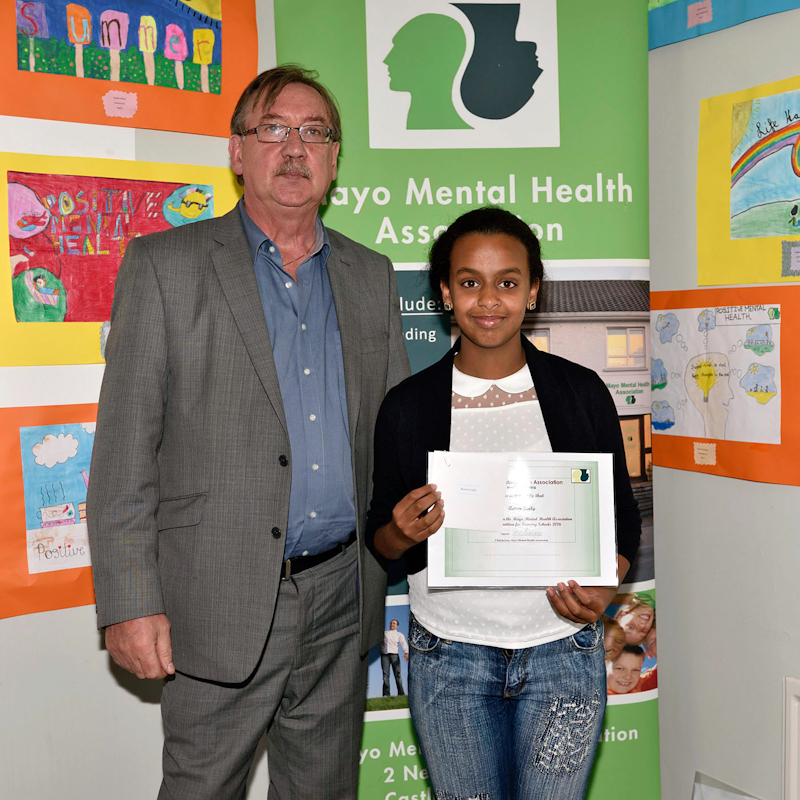 Pictured in Lough Lannagh village at the presentations of prizes and certificates by John Melvin in the Mayo Mental Health Association Primary School Art Poster Competition 2016. Merit Award Rochelle Conroy, Mount Pleasant Ballyglass. Photo © Ken Wright Photography 2016. 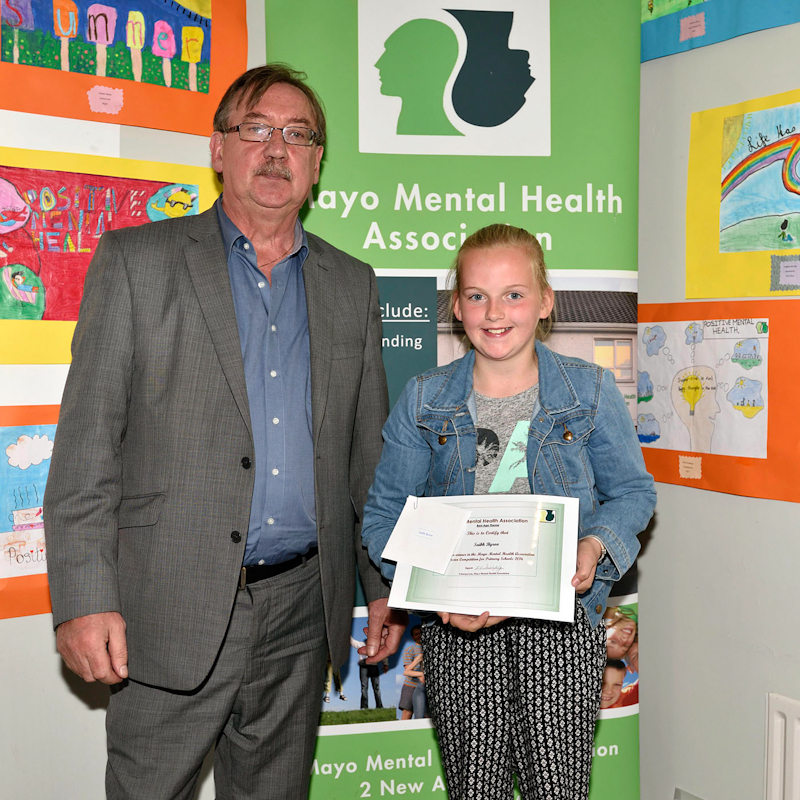 Pictured in Lough Lannagh village at the presentations of prizes and certificates by John Melvin in the Mayo Mental Health Association Primary School Art Poster Competition 2016. Merit Award Falak Rehmanl,St Josephs Ballinrobe. Photo © Ken Wright Photography 2016. 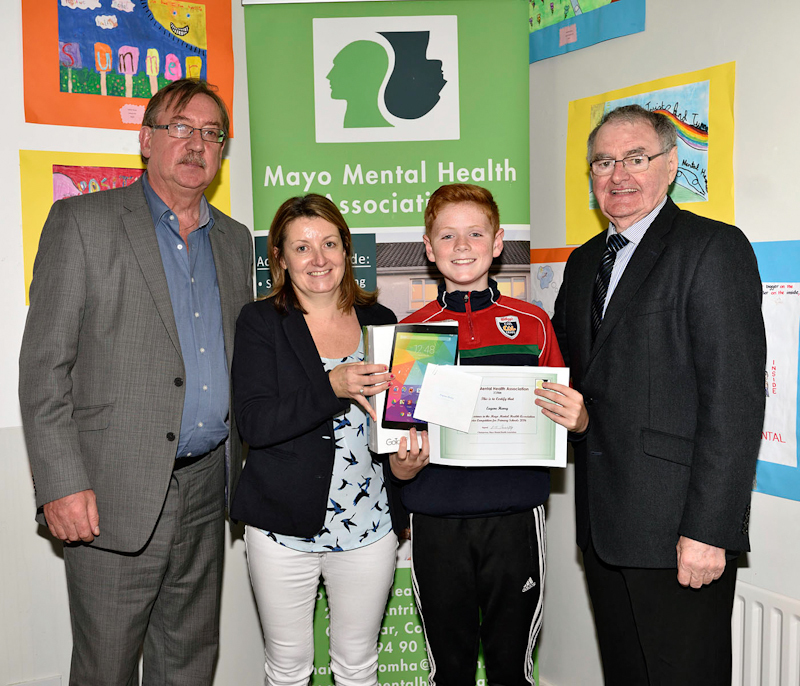 Pictured in Lough Lannagh village at the presentations of prizes and certificates by John Melvin in the Mayo Mental Health Association Primary School Art Poster Competition 2016. Most Heartwarming, Roisin Lally, Ballintubber National School . Photo © Ken Wright Photography 2016. 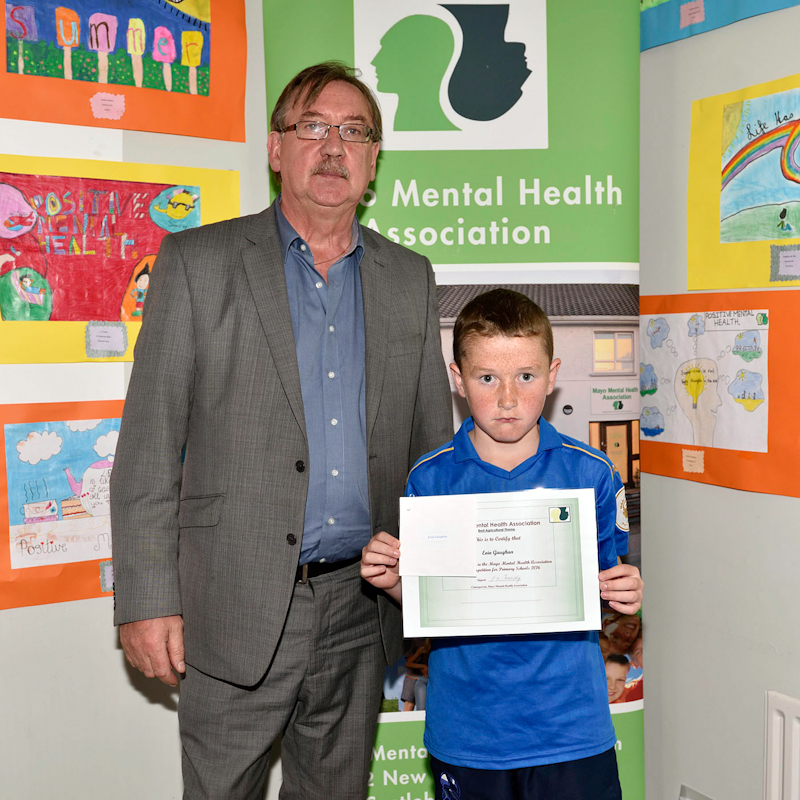 Pictured in Lough Lannagh village at the presentations of prizes and certificates by John Melvin in the Mayo Mental Health Association Primary School Art Poster Competition 2016. Merit Award Lily Malone, Kilawalla National School. Photo © Ken Wright Photography 2016. 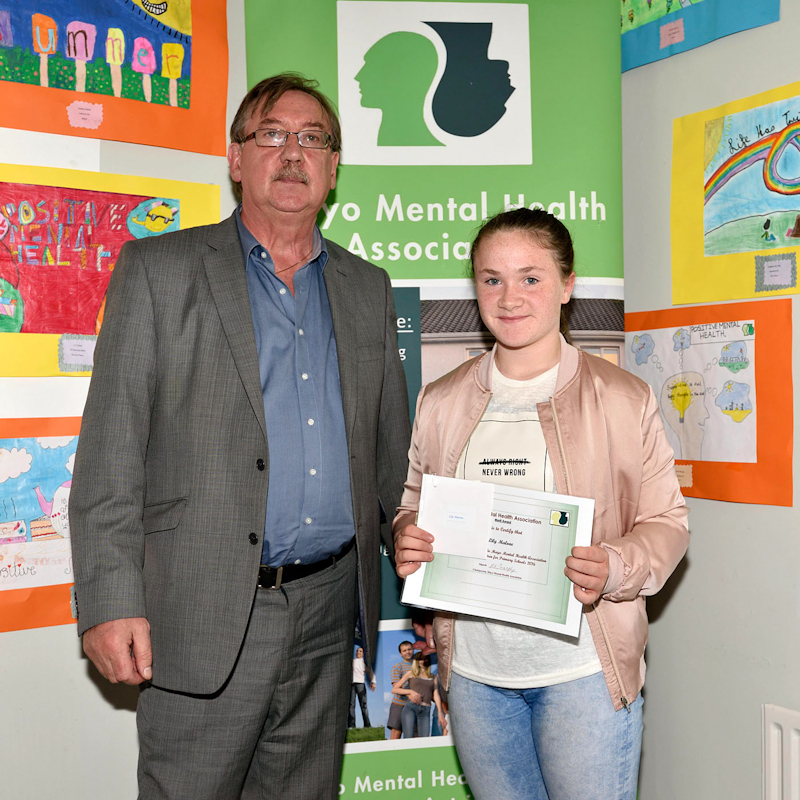 Pictured in Lough Lannagh village at the presentations of prizes and certificates by John Melvin in the Mayo Mental Health Association Primary School Art Poster Competition 2016. Merit Award Hannah Lally, Sn Achaidh An Ghlaisin. Photo © Ken Wright Photography 2016. 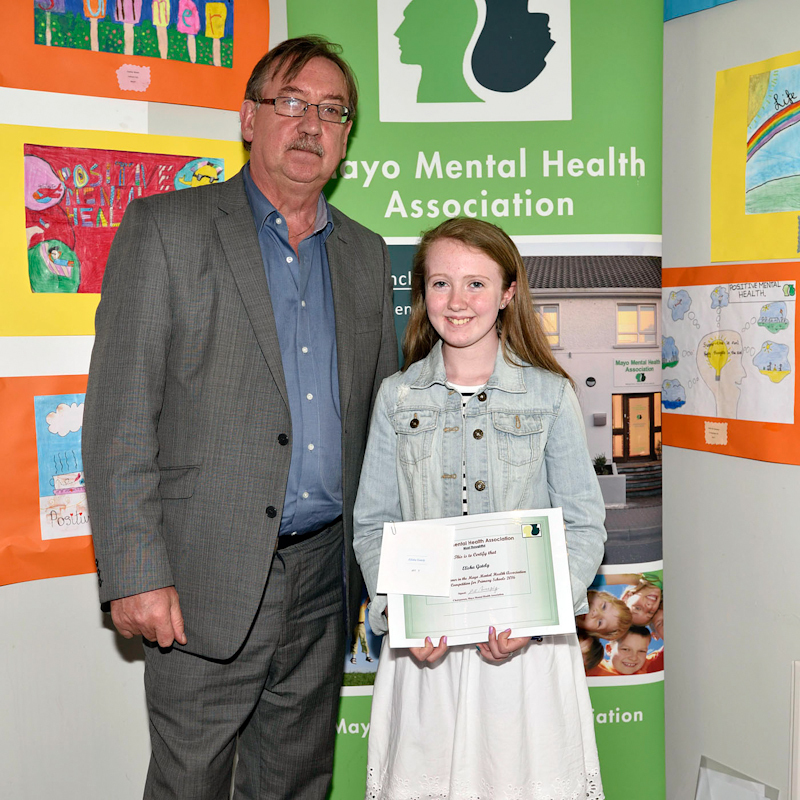 Pictured in Lough Lannagh village at the presentations of prizes and certificates by John Melvin in the Mayo Mental Health Association Primary School Art Poster Competition 2016. Merit Award Kate Maughan, Breaffy National School. Photo © Ken Wright Photography 2016. 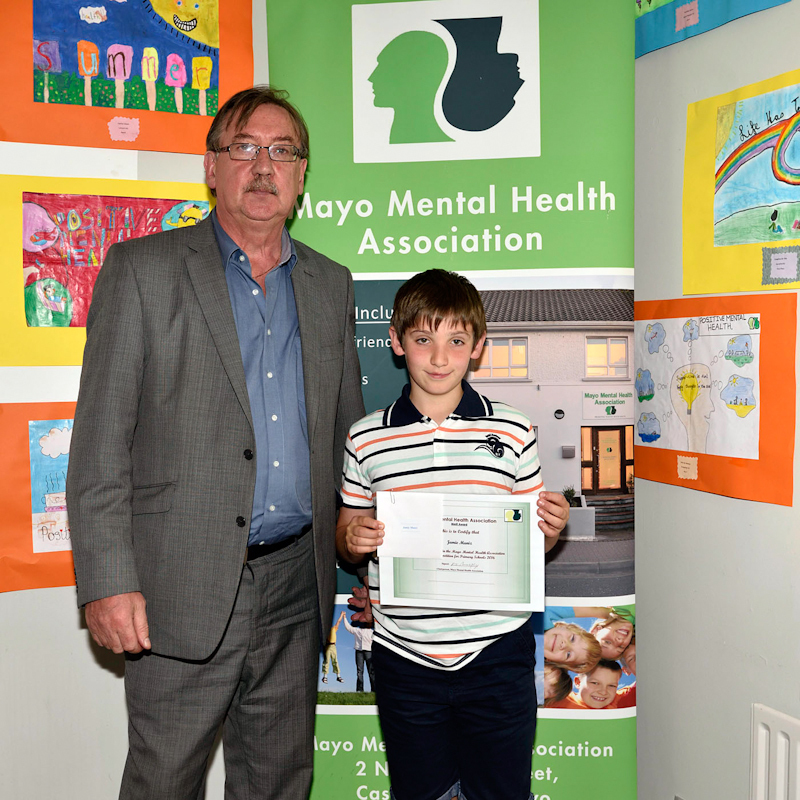 Pictured in Lough Lannagh village at the presentations of prizes and certificates by John Melvin in the Mayo Mental Health Association Primary School Art Poster Competition 2016. Best use of Perspective, Sophie O’Donnell, Templemary National School. Photo © Ken Wright Photography 2016. 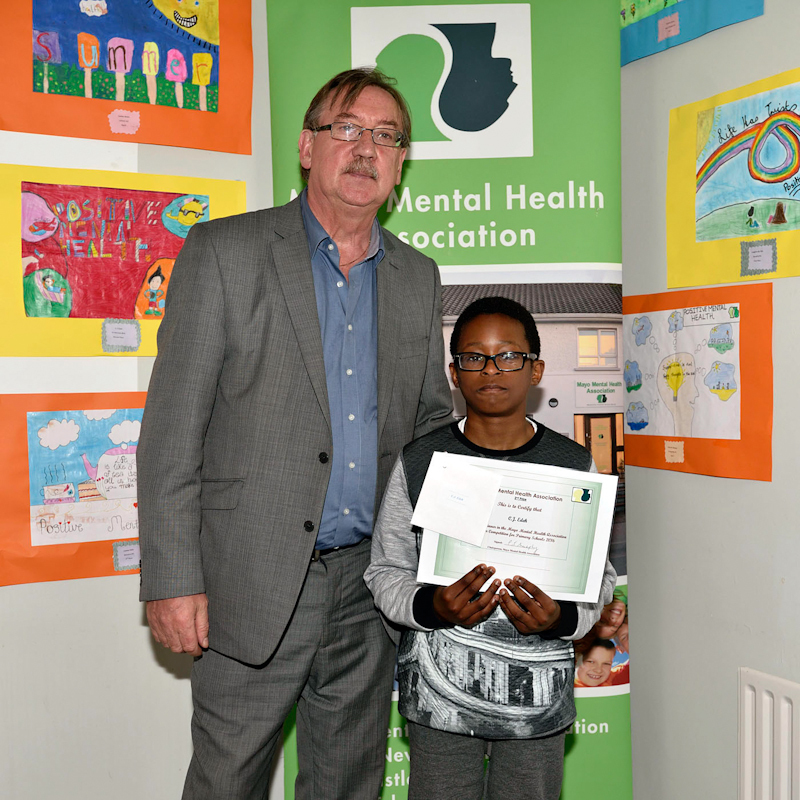 Pictured in Lough Lannagh village at the presentations of prizes and certificates by John Melvin in the Mayo Mental Health Association Primary School Art Poster Competition 2016. Best Animal Theme, Livia Maciazek,Breaffy National School. Photo © Ken Wright Photography 2016. 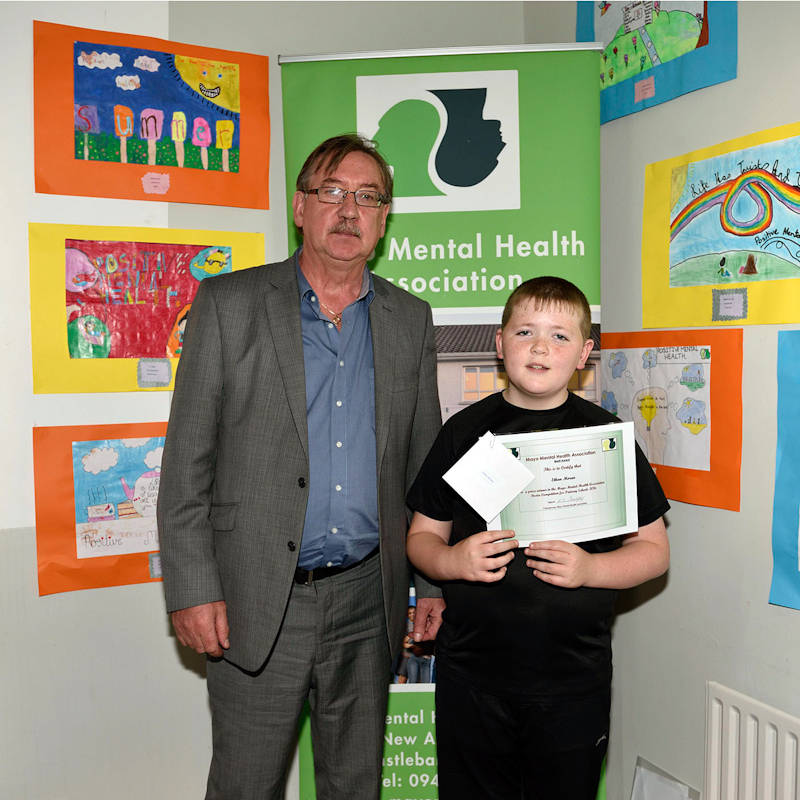 Pictured in Lough Lannagh village at the presentations of prizes and certificates by John Melvin in the Mayo Mental Health Association Primary School Art Poster Competition 2016. Most Thoughtful, Elisha Gately, Scoil Raifiteri Castlebar. Photo © Ken Wright Photography 2016. 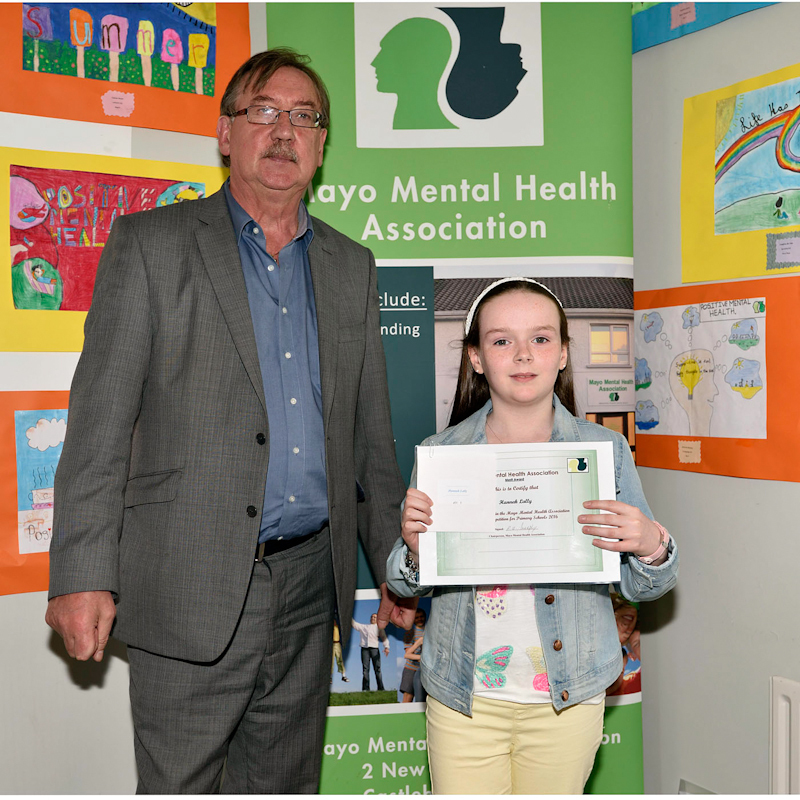 Pictured in Lough Lannagh village at the presentations of prizes and certificates by John Melvin in the Mayo Mental Health Association Primary School Art Poster Competition 2016. Best Summer Theme, Lisa Geraghty, Robeen National School. Photo © Ken Wright Photography 2016. 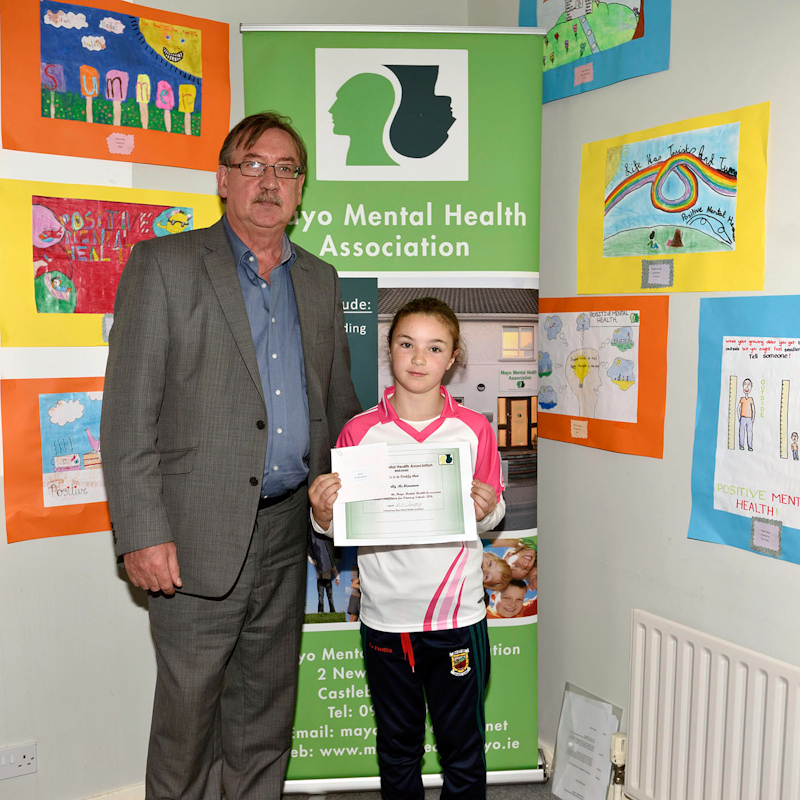 Pictured in Lough Lannagh village at the presentations of prizes and certificates by John Melvin in the Mayo Mental Health Association Primary School Art Poster Competition 2016.. Best Age Theme, Saibh Byron, Scoil Mhuire Glencorrib. Photo © Ken Wright Photography 2016. 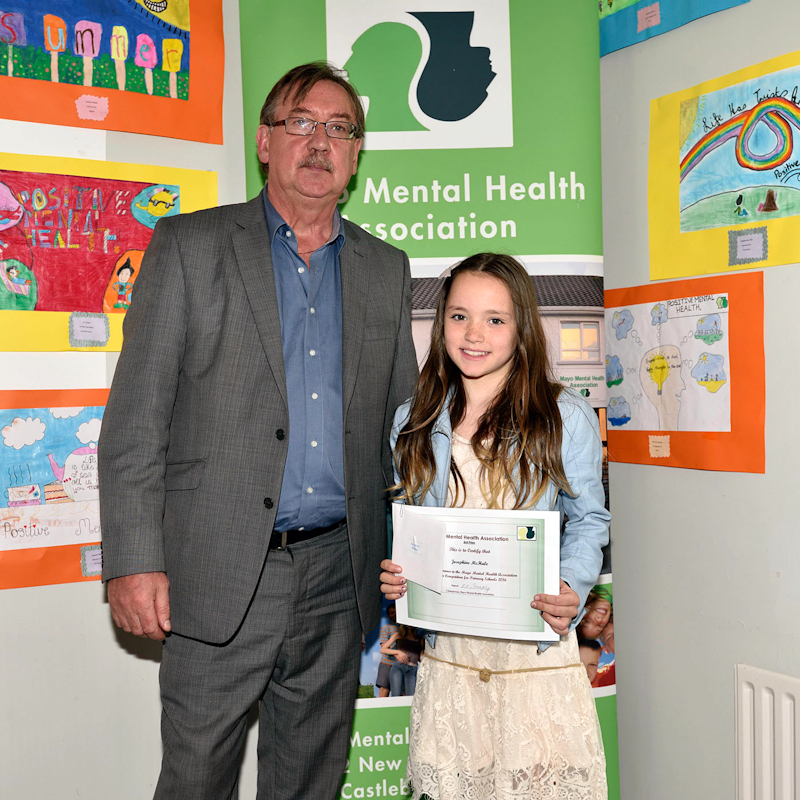 Pictured in Lough Lannagh village at the presentations of prizes and certificates by John Melvin in the Mayo Mental Health Association Primary School Art Poster Competition 2016. Best Agricultural Theme, Eoin Gaughan, Corclough National School. Photo © Ken Wright Photography 2016. 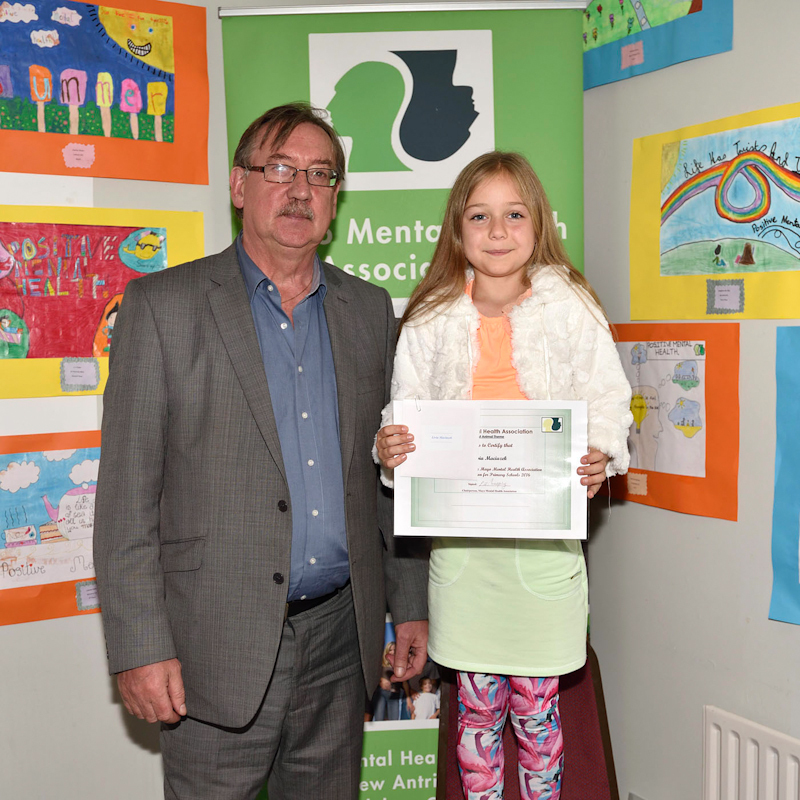 Pictured in Lough Lannagh village at the presentations of prizes and certificates by John Melvin in the Mayo Mental Health Association Primary School Art Poster Competition 2016. 2nd Prize, C.J. Edeh, St Patrick’s BNS Castlebar. Photo © Ken Wright Photography 2016. 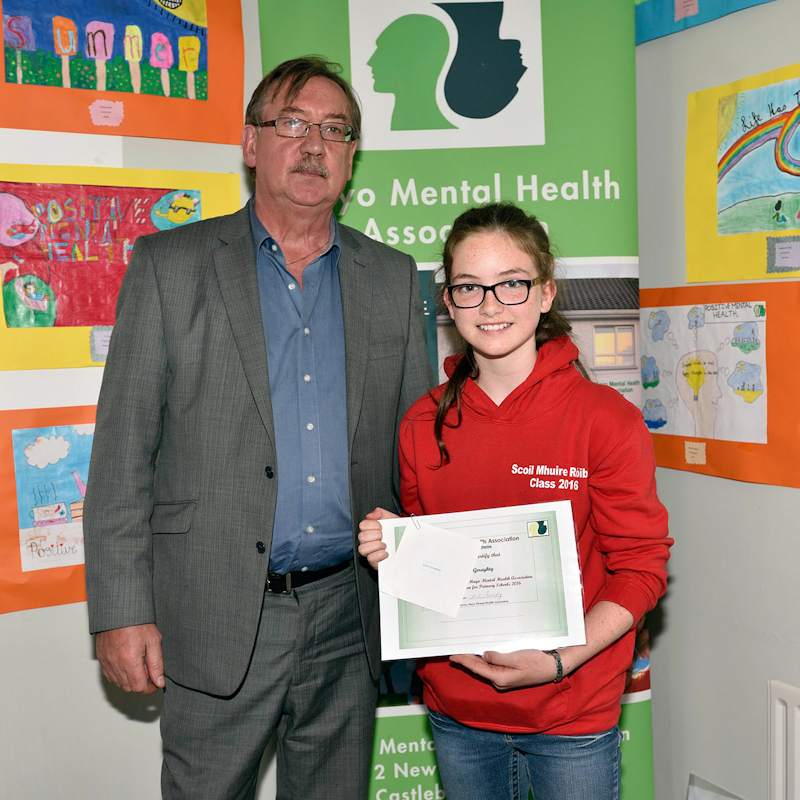 Pictured in Lough Lannagh village at the presentations of prizes and certificates by John Melvin in the Mayo Mental Health Association Primary School Art Poster Competition 2016. Margaret Hughes and Teresa Connor collecting the certificate for Best Portraiture, Shauna Connor, Bohola National School. Photo © Ken Wright Photography 2016. 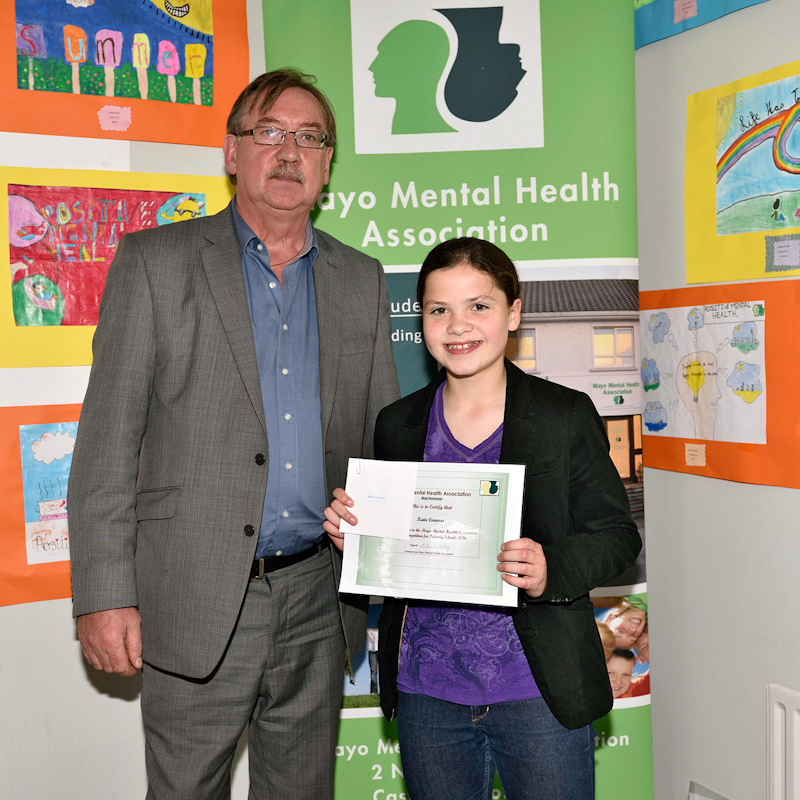 Pictured in Lough Lannagh village at the presentations of prizes and certificates by John Melvin in the Mayo Mental Health Association Primary School Art Poster Competition 2016. 3rd Prize, Josephine McHale, Barnatra National School . Photo © Ken Wright Photography 2016. 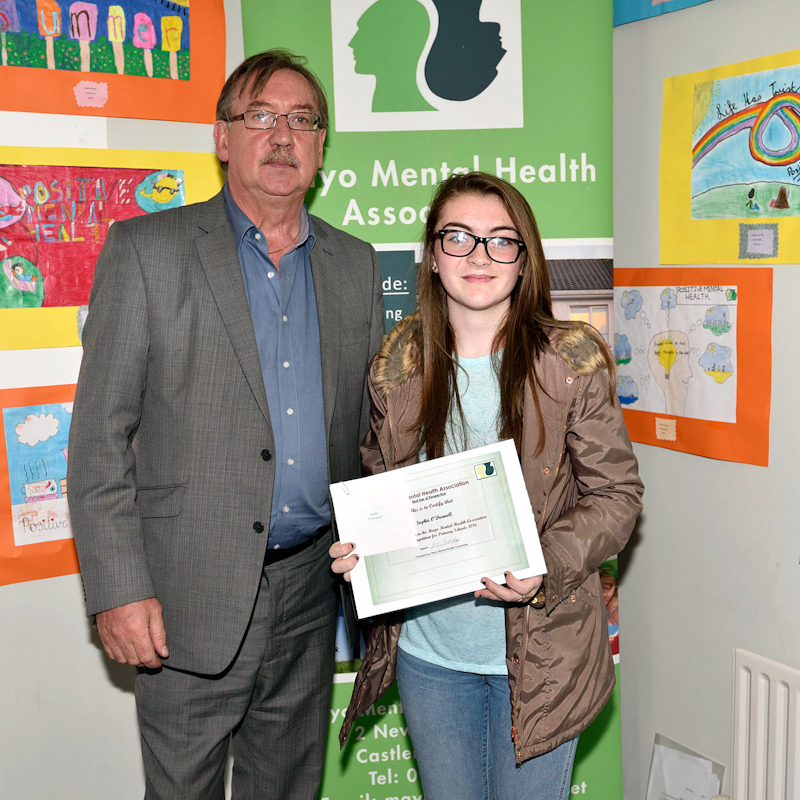 Pictured in Lough Lannagh village at the presentations of prizes and certificates by John Melvin in the Mayo Mental Health Association Primary School Art Poster Competition 2016. 4th Prize, Leanne Nally,Belcarra National School . Photo © Ken Wright Photography 2016. 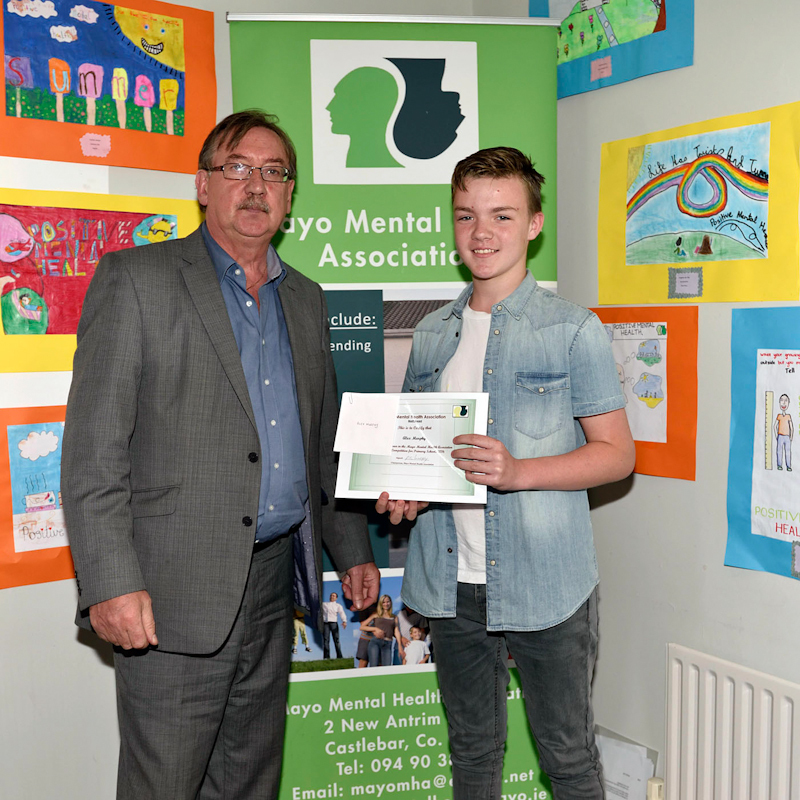 Pictured in Lough Lannagh village at the presentations of prizes and certificates by John Melvin in the Mayo Mental Health Association Primary School Art Poster Competition 2016. Most Humorous, Katie Connor, Carracastle National School. Photo © Ken Wright Photography 2016. 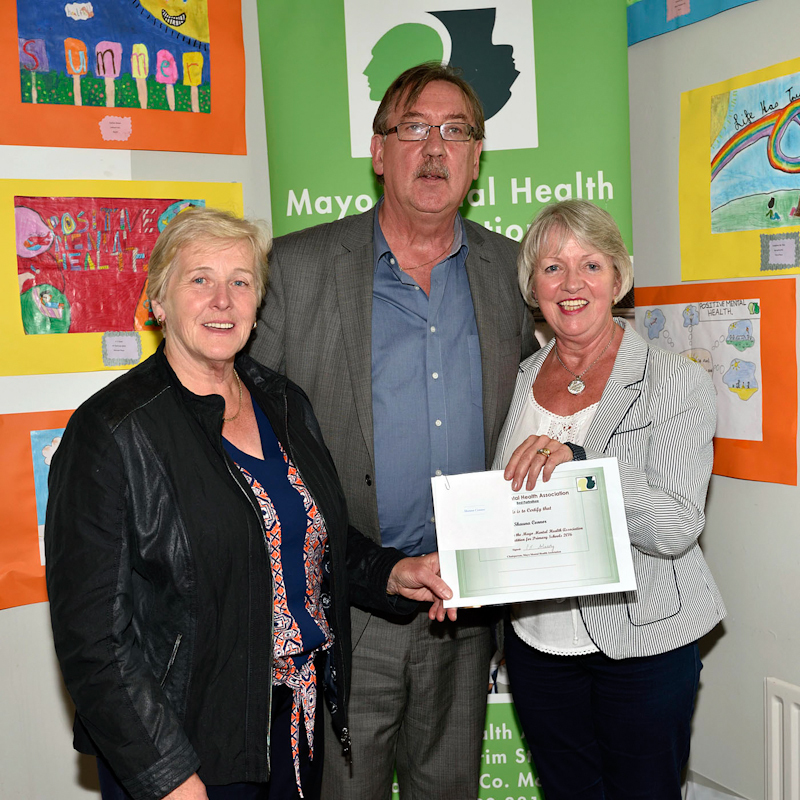 Pictured in Lough Lannagh village at the presentations of prizes and certificates by John Melvin in the Mayo Mental Health Association Primary School Art Poster Competition 2016. L-r; John Melvin, Jackie Doyle vice principal Midfield National School, 1st Prize, Eugene Henry, Midfield National School and PJ Murphy, Chairman MMHA. Photo © Ken Wright Photography 2016. 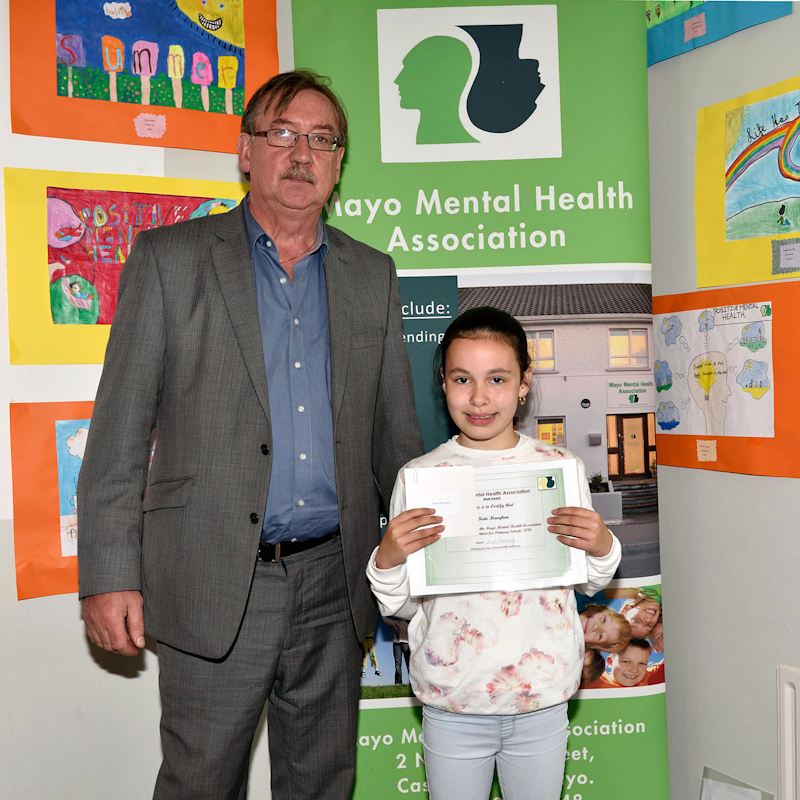 Pictured in Lough Lannagh village at the presentations of prizes and certificates by John Melvin in the Mayo Mental Health Association Primary School Art Poster Competition 2016. 1st Prize, Eugene Henry, Midfield National School. Photo © Ken Wright Photography 2016. Merit	Lisa Forde	Mayo Abbey Natonal Sch.